Autorama R.V. Center is our cover advertiser in this week’s Exchange. 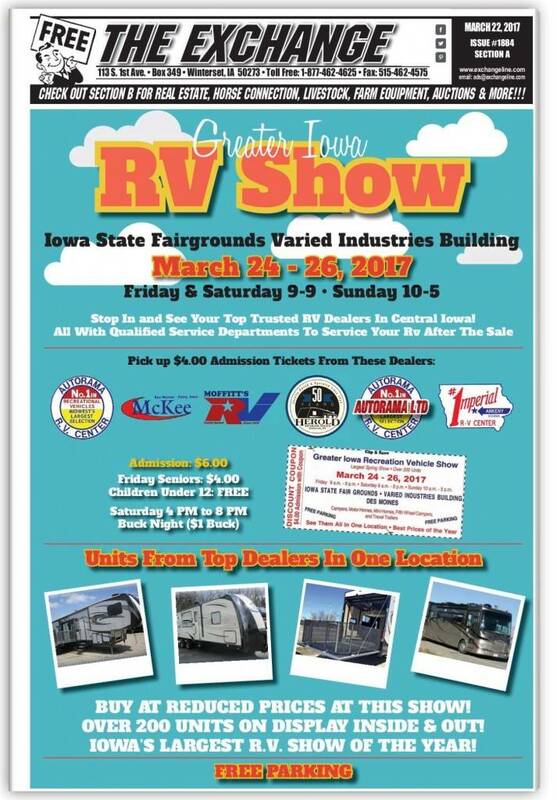 They’ll be at the Greater Iowa RV Show March 24-26, 2017.